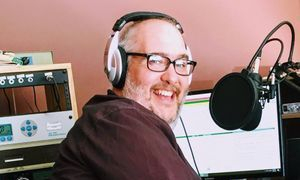 Scott was born and raised in Seattle, and like many seasoned radio veterans, has lived all over the United States with numerous years spent in various towns scattered throughout the Rocky Mountains. He's worked in markets such as Seattle and Salt Lake City and enjoys snowboarding, softball and soccer. 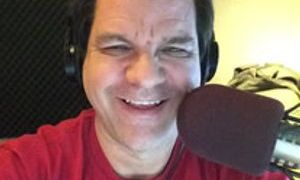 Scott will keep you entertained overnight and into "dawn patrol" right here on Sunny 97.1! Dave worked at WDQN from July 1989 to September 1998. Now, he's back on the air every weekday with the Sunrise Service. Dave takes his work seriously, but never himself. Listen every weekday morning for music, lots of fun and personality the way radio was...and still is! Grab a hot cup o' Joe and join Dave every weekday morning, starting at 5am for the Sunrise Service on Sunny 97.1. Teresa Brown and her husband, Jim have raised three kids together. Now that the kids are in college, when she's not on the radio she's cooking and playing the piano. You'd never believe Teresa has bungee jumped, sky dived and walked on the wings of a bi-plane, but she has! Before she was a wife and mom, Teresa was a singer in a rock band and a blackjack dealer in Las Vegas. Teresa loves her work and will make your workday more fun. Somewhere in the Robinson family archives, there's a video of young Jeremy at a cousin's birthday party. While all the other children are playing, a young Jeremy is using a stick as a microphone and interviewing party guests. 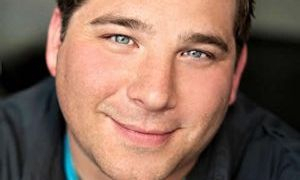 By age nine, Jeremy was hosting a radio and television version of "The Jeremy Robinson Show" out of his bedroom using a karaoke machine and his family's video camera. Jeremy will keep you informed and entertained every weekday afternoon, right here on Sunny. Lisa Paige is the host and star of Pop Crush Nights. Lisa began her career in 1998 at a radio station in Connecticut. Her personality and ability to easily connect with anyone have allowed Lisa to work at some of the biggest radio stations in the country. Lisa has interviewed Pop artists like, Jay-Z, Jennifer Lopez, Usher, Rihanna, Lady Gaga, One Republic, Chris Brown and Jason Derule just to name a few. Off the air, Lisa enjoys shopping, finding new beauty products, watching movies, and visiting friends and family all over the country. 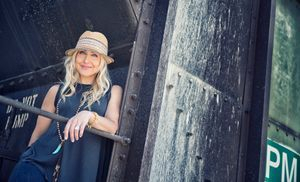 She is passionate about health and fitness, and has run several half marathons. Lisa lives in a suburb of Dallas, Texas with her husband, Stu, and their two children Zach and Ainslee. Listen to Pop Crush Nights with Lisa Paige every weeknight from 6pm to 11pm, only on Sunny 97.1. Dr. Laura Berman is one of the world’s leading experts on love and relationships. She earned two Masters and a PhD degree from New York University and has spent the last several decades helping individuals and couples around the globe love and be loved better. Dr. Berman was raised in Glynn County, Georgia and currently lives in Chicago and Los Angeles. She is married and the mother of three sons and 2 dogs. Steve Brewer's listeners find his warm, friendly style perfect for wrapping up the workday, the rush hour drive and for continued listening at home. Steve's knowledge of show business and his personal experiences help him relate to a wide audience. An avid sports fan, Steve can typically be found watching the big game and yelling at the television. He also collects hockey pucks and vinyl records, and wants a mini-pig. A 35-year radio vet, Chaz has been there and done that as far as differnt radio formats. Right out of high school he sunk his teeth into college radio and quickly moved on to major market radio, working in research, promotions, on air and music programming. Chaz has two sons and likes to play the 12-string guitar, watch Showtime TV movies and get outdoors as often as possible. Sports is a big player on the big screen at home, too. 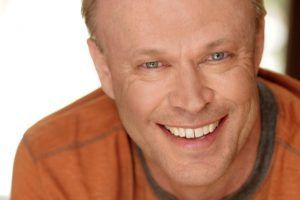 Comedic performer and renowned radio personality, Rick Dees has made an indelible mark in the entertainment world with his captivating enthusiasm and quick-witted style. 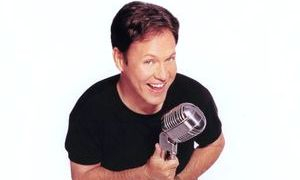 His number one internationally syndicated radio show, The Rick Dees Weekly Top-40, is heard each weekend by more than 70 million people around the world, including virtually every city in the United States, 125 countries, 27 massive ships at sea, and on the Armed Forces Radio Network. 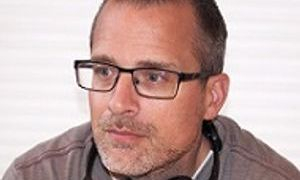 Dees' familiar voice and multitude of characters have become a mainstay of the American psyche and have even extended into Beijing, China becoming the first English speaking radio show to entertain Chinese listeners on weekends. Dees became the hottest property in radio when he began hosting the top rated morning radio show in Los Angeles on KIIS-FM in July of 1981. In a short time, he turned KIIS-FM into number one revenue generating radio station in America with an asset value approaching one-half billion dollars. With unprecedented ratings success, Dees garnered many accoloades, including Billboard Radio Personality of the Year for ten years in a row, the Marconi Award, the National Radio Hall of Fame, and his induction into the National Association of Broadcasters' Hall of Fame. Rick Dees currently resides in Toluca Lake, a suburb of Los Angeles, with is wife, Julie, who is an accomplished comedienne with numerous credits, including being the voice of several Smurfs, and the voice of Casper The Friendly Ghost. They have one son, Kevin, who is a specialist in real estate and entertainment. You can listen to Rick Dees every Saturday morning from 10am to 12pm on The Rick Dees Weekly Top-20 Countdown and Sunday night from 6pm to 10pm on The Rick Dees Weekly Top-40 Countdown (The 90's). Kent Jones is a 35-year radio veteran. Kent's career has taken him to New Jersey, Kentucky, Ohio, Indiana and Oklahoma. He went on to be morning personality and Program Director at radio stations in Indianapolis and Oklahoma City. Kent has spent his last 25 years as Program Director at KOMA-FM in Oklahoma City, consistently achieving top-5 ratings. 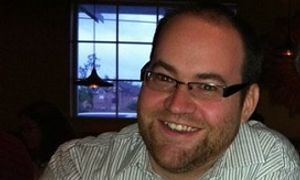 He has been named medium market Program Director of the year by Radio and Records magazine. Now, you can hear Kent every Saturday night from 9pm to Midnight, as he hosts "Totally Awesome 80's". Stay tuned for three hours of the best pop, rock and party hits of the 1980's. Each weekend, Kent features a special theme, complete with time capsules and information about the songs and artists that we grew up loving...and still do! Our host, Kid Kelly, is a multiple Billboard Award-winning air personality who's been at the helm since the show's debut in December 1992. Kid grew up in Brooklyn, New York and attended Kingsborough College. Kid has worked as a DJ at some of the biggest stations in the country, like Z100 in New York. BackTrax USA has been a featured selection on both United Airlines and Air Force One! The show was nominated for the prestigious Billboard Radio Award in both the Top-40 and Adult Top-40 categories for 7 years in a row. Host Kid Kelly received Billboard's Air Talent of the Year Award and Program Director of the Year Award in 1995, 1996 and 1997. 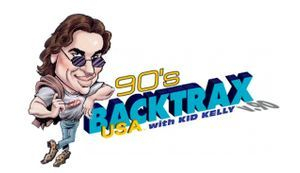 Now, you can hear Backtrax USA every Sunday night on Sunny 97.1.